Provenance: Formerly in the Peter G. Wray Collection, Scottsdale, Arizona. Cf. See F. Easby & J. Scott, Before Cortes, fig. 264, Metropolitan Museum of Art, N.Y. 1970 for the type. 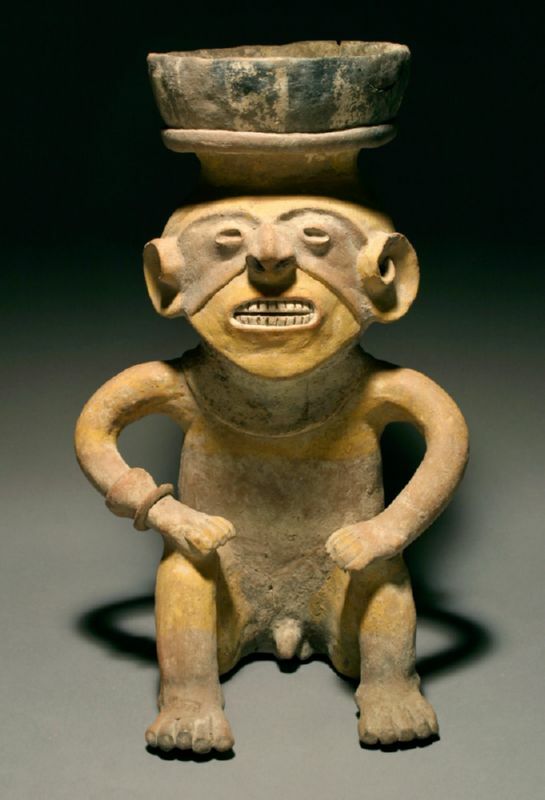 The seated male figure has an intense facial expression, his globular head surmounted by a brazier, and is pigmented with a yellow ochre against a reddish brown upper facial area and a white collar. The burner is painted with broad black and white stripes.